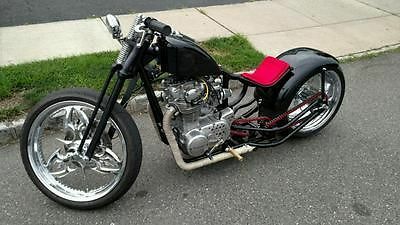 1982 XS650 -Custom frame, Burly pegs, Biltwell slimline seat, Biltwell keystone bars, Brand new Metzeler tires, Arlen ness grips, HHI brake and clutch controls, Joker machine bar end mirror, Custom exhaust, XS Performance Carbs, Fully rebuilt motor (less then 200kms ago), NYC Choppers 32 ford style tailight/brake light, Roland Sands 1" bar clamps,Monstercraftmans Chain Tensionner, Custom sissy bar, fender and much more. Everything has been powder coated. Over $10,000 Invested in this bike last summer. 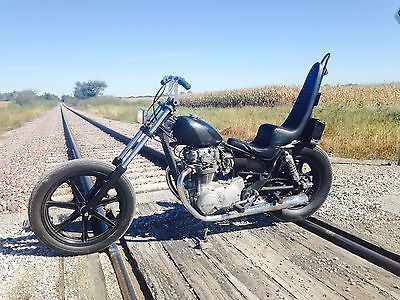 1979 yamaha xs 650all black bike, runs well. Brakes need fixing. 3 gallon tank, key ignitionvery nice looking bike. 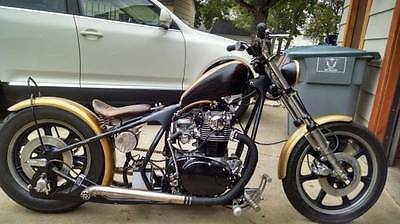 1978 Yamaha XS Custom Yamaha XS650 Motorcycle! 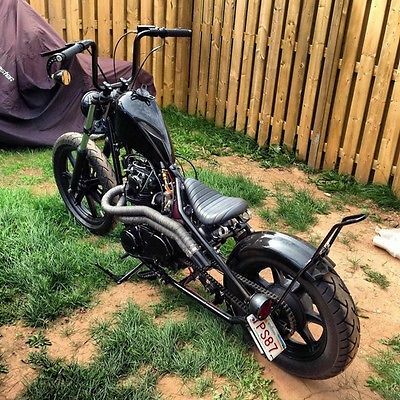 Rat Rod Bobber Chopper XS 650! Harley Rims! WOW! 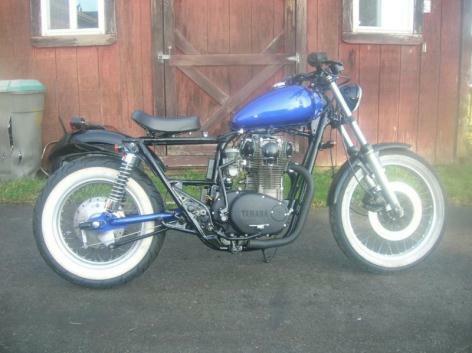 You are bidding on a Yamaha XS 650 motorcycle. 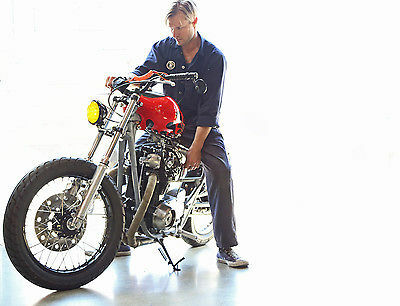 This is one of the most unique, and aggressively-styled custom XS650's around. It was featured in Renegade Magazine #15. This is a major head-turner, and it seems everyone is curious about it! It sounds incredible too! The frame was stretched, sculpted, and hardtailed. The fork is from an '07 GSXR 750 sportbike. Harley Davidson ltd ed. gold 100th anniversary rims. Custom 3D clip on bars allow you to adjust for many riding postures. The most striking features are two custom gas tanks, with a CNC'd mount. This thing looks like a nitro rocket bike! The center "tank" is actually hollow and houses the electrical. An adjustable mountain bike shock is fitted under the seat to accomodate various weights and provides a much more comfy ride. 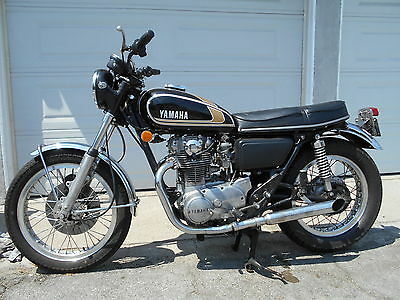 The original 1978 donor bike had about 18,000 miles on it. 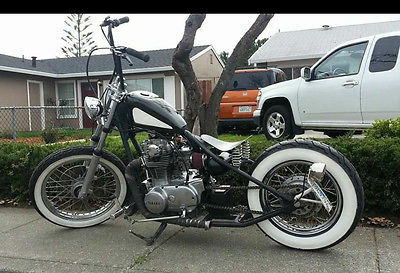 A picture of the donor bike before transformation is included for your reference. The build was done by a professional, and the workmanship is impeccable. The custom metalwork is simply perfect, and totally unique. This monster took a year to complete. The original VIN is on the neck tube and I have the title in hand. 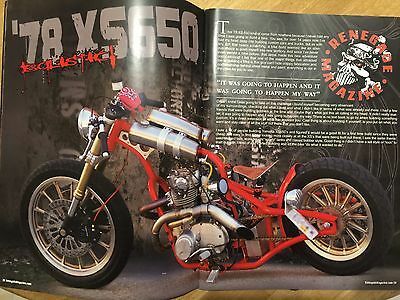 Also included are the seat shock's pump, an original copy of Renegade Magazine #15 featuring the bike, the key, custom kickstand, some spare parts, and the title. With spring and summer coming right up, I'd like to get this into someone's hands that'll really enjoy it and use it. You can pick up in person and pay cash, or have it shipped and pay with a cashiers check, or bank transfer. Shipping is the responsibility of the buyer, but I had it shipped to me and Im happy to share my experience. It was surprisingly affordable, and quick. 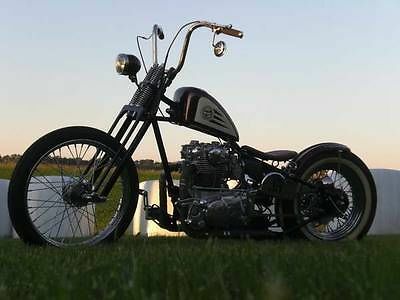 Id love to talk about this amazing bike if you're interested. Please email questions and I'll respond promptly. Im also up for phone calls, Skype, FaceTime. I have more pictures, and some youtube links to share too. Thanks for looking! 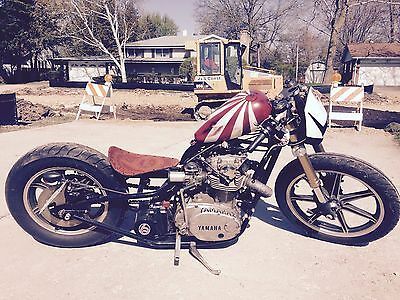 1983 Yamaha XS650 Bobber-Black cherry in color(rear fender and fake oil tank cleared, tank has been sanded and not re-cleared). Mileage unknown, runs and rides well. Has 12-inch TC Bros handlebars, solo seat with 5-ich springs-rides very comfortable. Electric and kick start-Electric start works, but has typical XS intermittent failure(does not always catch). Bike kick starts very easy, usually no more than three kicks. All electronics, wiring harness and fuse block are contained in fake oil tank. Ignition switch also integrated in oil tank. 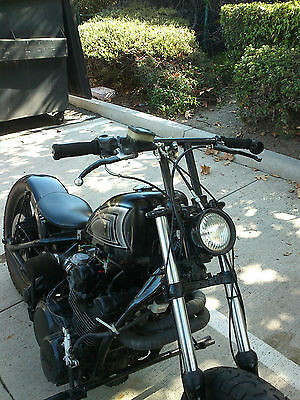 Has mid 80's Harley-Davidson tank with HD pingel petcock and new gas caps. Brand new exhaust pipes with 4-inch baffles. Fairly loud, but not overbearing. New air filters both carbs. Rear tire is fairly new, front tire will need replacing next riding season. I have owned this bike for 3 years with no major breakdowns or problems. It has been ridden daily(work and pleasure) and also on a 200 mile roundtrip ride two-three times a summer. It has been very dependable. Currently taillight is not working and I have removed the license plate bracket. I think the front brake is partially frozen. Includes repair manual, 18-ich ape hangers and a roll of exhaust wrap. I will do my best to answer any and all questions, but please be patient with me. Thanks for looking. 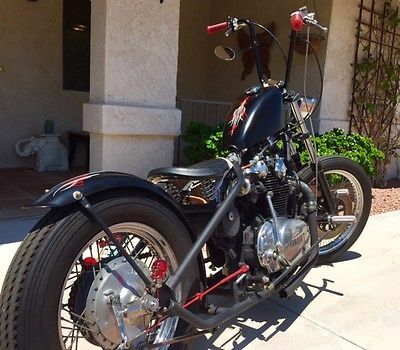 Beautiful custom 1982 Yamaha XS650 Bobber. Black w/ custom pinstriping. 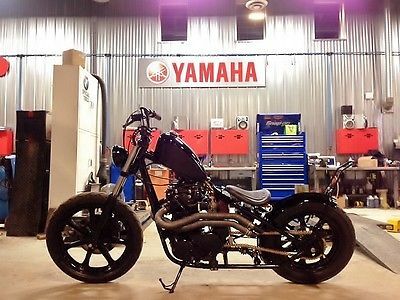 The bike looks and runs amazing! Pamco ignition, Old school kick start. Loud, Fast, Head turner for sure! No need to list every single detail of the bike, Most people looking to purchase this particular bike know what they are looking at. If you have any questions please feel free to message me. I have 100% positive feedback and pride myself on keeping it that way. NO INTERNATIONAL BIDDERS! Winning bidder may either pick the bike up personally or may have the bike shipped to them. If the buyer chooses to have the bike shipped, The buyer is 100% responsible for shipping, and shipping cost. 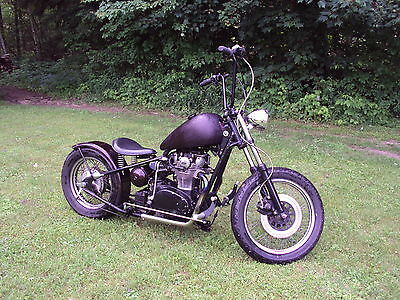 Reliable and fun to ride drop seat bobber.